The Food Bank of Eastern Michigan was looking for “fresh solutions” as it set out to raise $5.25 million for a new Hunger Solution Center. The facility would double its capacity for operations and triple the available space for volunteer packaging, allowing the Food Bank to accept eight million additional pounds of fresh produce annually. 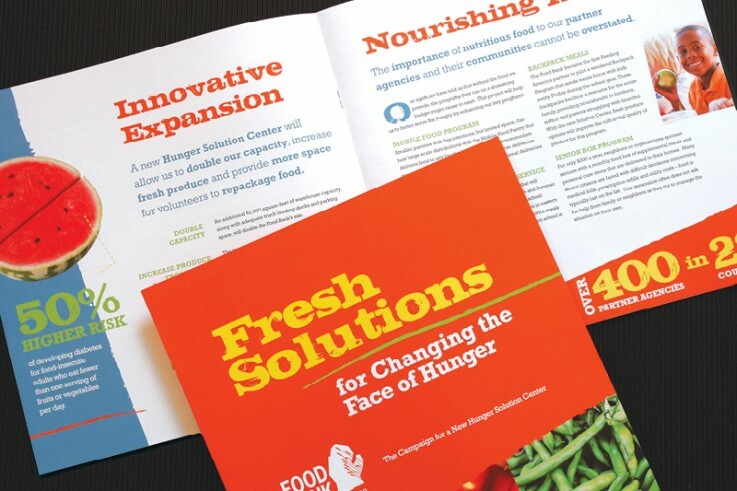 Olmsted Associates was brought in to freshen up their look and help tell the Food Bank’s story through a custom capabilities brochure designed to also be used as a fundraising tool.